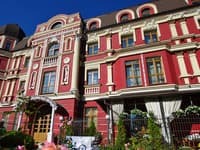 The hotel "European" is located in the immediate vicinity of the heart of the capital of Ukraine. The convenient location of the hotel allows quick and convenient access to any part of the city. 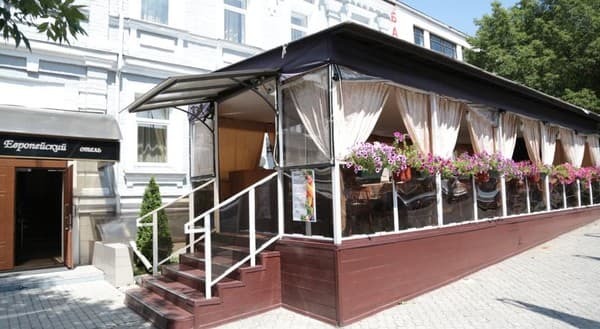 "European" is a combination of a high level of service, a cozy atmosphere and an acceptable cost. Guests can stay in rooms of different categories of your choice. Guests will be pleasantly surprised by the combination of elegant design of rooms and a truly homely atmosphere. 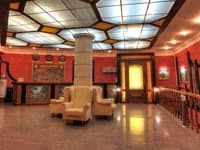 Each of them is decorated in a modern style with original interior and all amenities. For conferences, seminars, trainings or other business meetings, the hotel has a conference room equipped with a projector, screen, speakers and air conditioning. 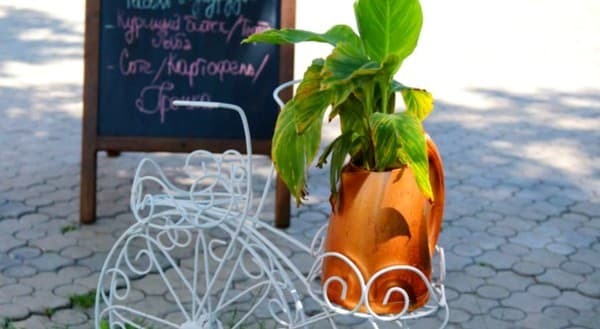 Guests can taste delicious dishes of Ukrainian and European cuisine in the restaurant on site. It is also possible to organize celebrations in the banquet hall. From additional services, guests can order flowers, food and souvenirs, transfer from / to the airport, etc. 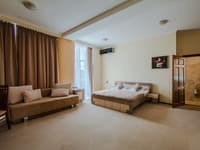 Accommodation in the hotel "European" will not leave indifferent any resident and will please Ukrainian hospitality and home comfort. 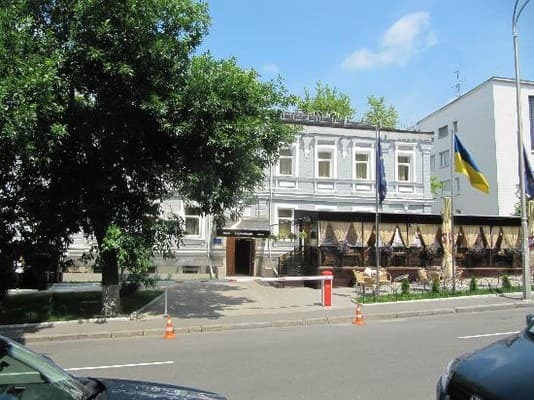 In this part of the city there is an opportunity to enjoy the charming atmosphere of the Ukrainian capital. 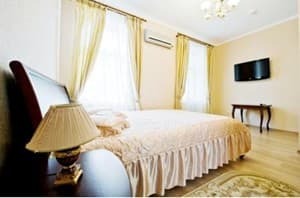 Description of the room: The bright and cozy double room is an economy with a large double bed. Amenities are shared on the floor. For a comfortable stay, the room provides everything you need. Description of the room: Cozy room with a large double bed. Amenities are shared on the floor. For comfortable living, the room provides all the necessary furniture and appliances. Description of the room: Spacious double room is standard. There is a large double bed and an individual bathroom. For comfortable living, the room provides all the necessary furniture and appliances. 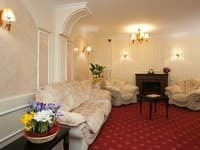 Description of the room: The spacious double room is standard, which is located on the ground floor. There is a large double bed and an individual bathroom. For comfortable living, the room provides all the necessary furniture and appliances. Description of the room: Spacious and refined double room superior with two twin beds and an individual bathroom. For comfortable living, the room provides all the necessary furniture and appliances. Description of the room: The spacious double room is standard with a large double bed and an individual bathroom. For comfortable living, the room provides all the necessary furniture and appliances. Description of the room: The spacious double room is a junior suite, which is located on the ground floor. There is a large double bed and an individual bathroom. For comfortable living, the room provides all the necessary furniture and appliances. Description of the room: A large, spacious and cozy double room with a large double bed and an individual bathroom. For comfortable living, the room provides all the necessary furniture and appliances. Время заселения, хотелось бы раньше по времени. Если прибываешь рано утром в Киев, надо гулять до 14.00, пока не приберут номер. Чисто, тихо. В душе, помимо полотенец, есть халаты. Дешевый матрац, пружины чувствовались (но это мелочь). Чимтота в готелі на 3 Звукоізоляція відсутня, важко заснути коли сусіди дивляться телевізор. Хороший готель, вічливий персонал,зручне розташування. •Центр, хорошее месторасположение! •Наличие халатов/тапок. •Т.к. мы останавливались когда отопительный сезон был не начат, было бы здорово если бы администрация отеля позаботилась об исправности кондиционеров. В нашем номере #5, скорей всего закончился фреон и кондиционер ели-ели работал! Было очень даже свежо! •Отсутствие холодильника/чайника в номере. •Отсутствие завтраков! Чисто, уютно, комфортно, недорого. Хороший персонал. Вкусно готовят в кафе гостиницы. Звукоизоляция трубопровода. Очень громкая сантехника. Отсутствуют москитные сетки на окнах. 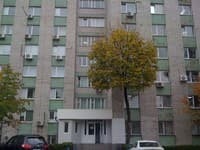 Были в этом отеле несколько раз: в номерах "Стандарт" и "Полулюкс". В обоих типах номеров достаточно чисто и уютно, отдельные душевые кабины, в общем, все достаточно неплохо. Сам отель небольшой, с другими постояльцами мы даже не пересекались. Прекрасное расположение в самом центре города, да и цена в общем-то по делу. В целом все было очень неплохо. Ночью даже с открытыми окнами шума дороги практически не слышно. Как и в большинстве отелей, страдает звукоизоляция, но это общая проблема. Extra bed is available on request. Refine at the time of booking. The hotel is located 6 min walk from the NSC Olympic. From Khreshchatyk (metro station "Independence Square") 2 stops to the metro station "Olympic". 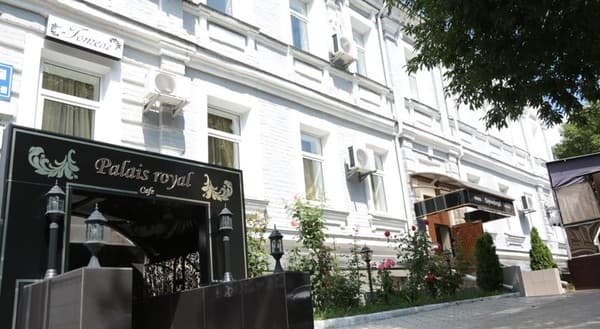 From the metro to the hotel 434 m. From the central railway station (metro station "Vokzalnaya") go 3 stops to the station "Khreshchatyk", change to the station Maidan Nezalezhnosti and go 2 stops to the station "Olympic".